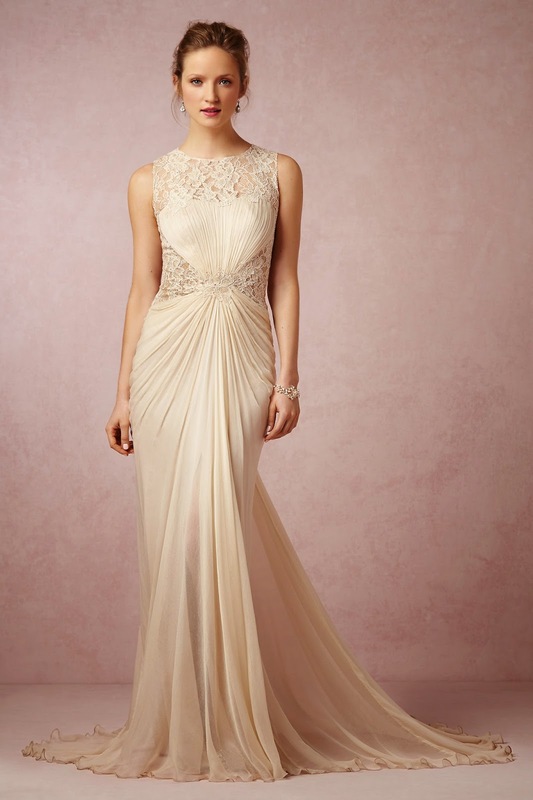 This glamorous gown from BHLDN is perfect at giving a bride a curvy hourglass figure on her big day. If you feel that you want to shrink your waist and emphasise your assets then this is a fabulous dress for you! 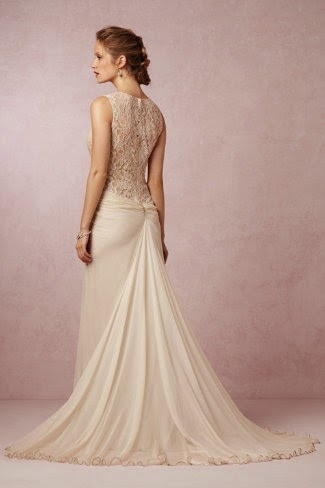 The gathered chiffon at the waist looks magical as it cascades into a stunning train. This dress is made even better with delicate beaded embellishment and the use of a classic lace fabric to create a more classic vintage look.